We Were Glue, formed in Liverpool, draw influence from the likes of The Strokes, Bloc Party and Bombay Bicycle Club. After having their debut single &apos;My Girl&apos; featured on Spotify’s ‘The Indie List’ and surpassing 100,000 plays, the group have been recording new music throughout February with Edinburgh’s Mark Morrow. They released new single &apos;Birthday&apos; on Saturday 12th May. Having played a number of Liverpool&apos;s more reputable venues, including Arts Club and Buyers Club, along with sets at Sound City and Smithdown Road Festival, the group are excited to spend the summer on their first festival run. 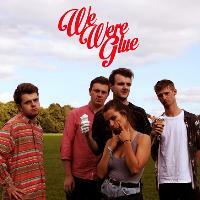 Here are the latest We Were Glue mixes uploaded to Soundcloud. Do you promote/manage We Were Glue? Login to our free Promotion Centre to update these details.